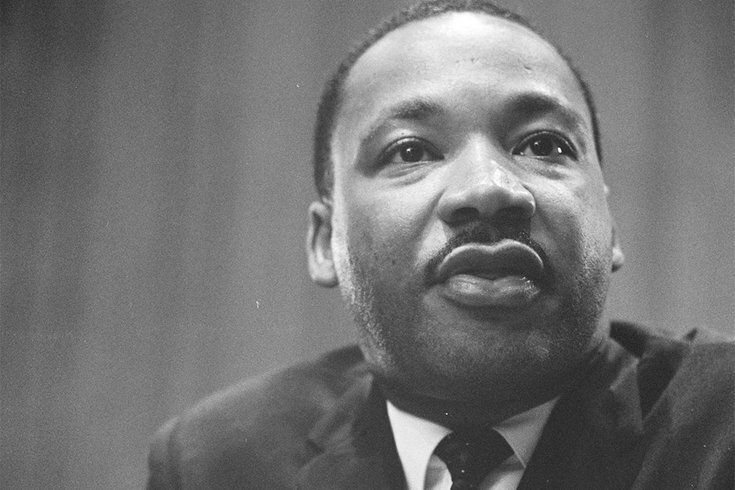 Opinion Dr. Martin Luther King Jr.
Dr. Martin Luther King Jr. is pictured in 1964, the same year he received the Nobel Peace Prize for combating racial inequality through nonviolent resistance. I was at Mason Temple with my father on April 3, 1968 when Dr. Martin Luther King Jr. preached what would become his final sermon, and I remember a violent storm raged outside. In his thunderous baritone, Dr. King told us that, while we may not get to the promised land together, he knew that we, as a people, would one day reach it. As a young man I lived the civil rights movement. I marched with Dr. King. I saw him organize and strategize. I saw how he united and inspired people to greatness through service. I saw him lead through non-violence — through compassion, kindness and love. He lifted our hearts and souls, something I will never forget. For me, honoring the legacy of Dr. King isn’t something I do a couple days of a year — it is something I try to live every day. Having seen his work up close, how he stood up in the face of hatred and adversity, helped so many voices be heard and changed our country and our world, I am driven to want to instill those qualities in the young men and women living in our divided nation today. With I AM 2018, we rally not only to recollect but also to recommit ourselves to the pursuit of racial, social and economic justice. Through I AM 2018 we will help a new generation protect and expand the rights and freedoms earned through the sacrifice of people like Dr. King. We will teach them how to organize and effect change in their communities. We will mobilize people toward the midterm elections and beyond. With I AM 2018 we will roll up our sleeves and work toward a rebirth of freedom in America. When we lost Dr. King, it felt as though our world had come to an end. For a time, we lived broken-hearted in disbelief that something like this could happen to a beloved leader. For a time, we despaired that our voices had been silenced, and that there was no one to rally us and carry us forward. For a time, it appeared we would never be closer to the promised land. I see a similar hopelessness and despair on so many faces today as hatred and bigotry remain, as we face an uphill battle to realize our right to vote, as so many struggle with a lack of educational or economic opportunity, and as day after day we lose our sons and daughters like we lost Dr. King — at the barrel of a gun. By recommitting ourselves to non-violence, helping a new generation discover the lessons we learned from Dr. King, as well as harnessing new and renewed energy in service of our communities, I know we can weather any storm on our path forward. Bishop J. Louis Felton is senior pastor of the Mount Airy Church of God in Christ, one of the oldest and largest Pentecostal denominations in the world and the 4th largest protestant group in the United States.